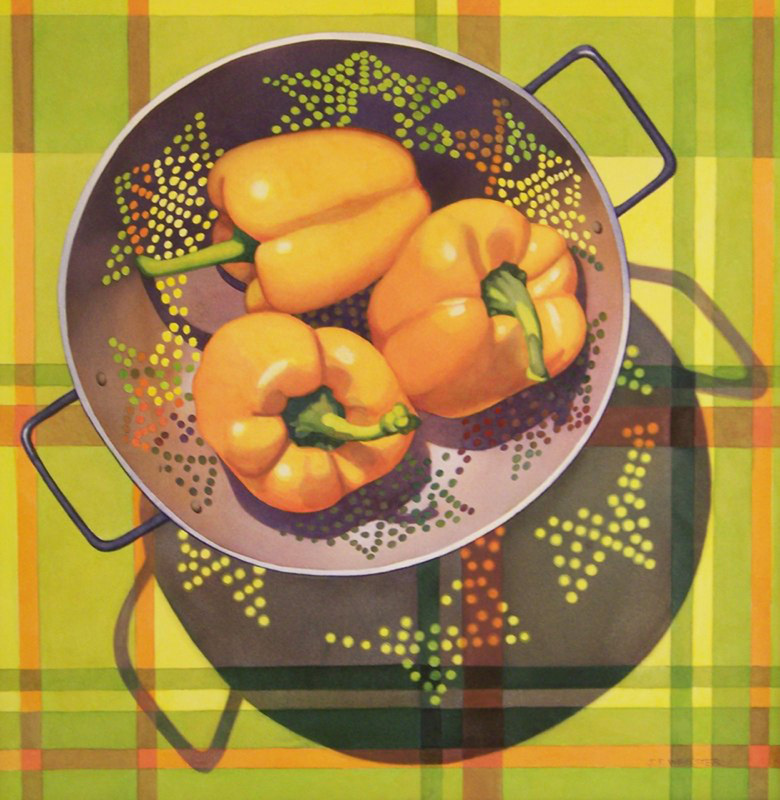 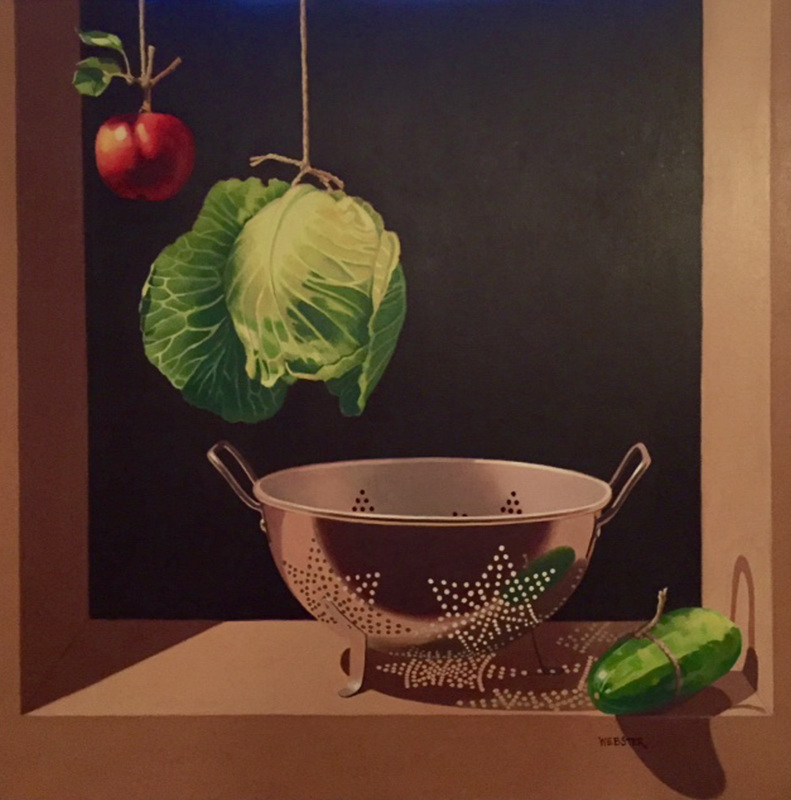 June likes to set up her still lives outdoors to capture the strong light and shadow effects created by the sun. 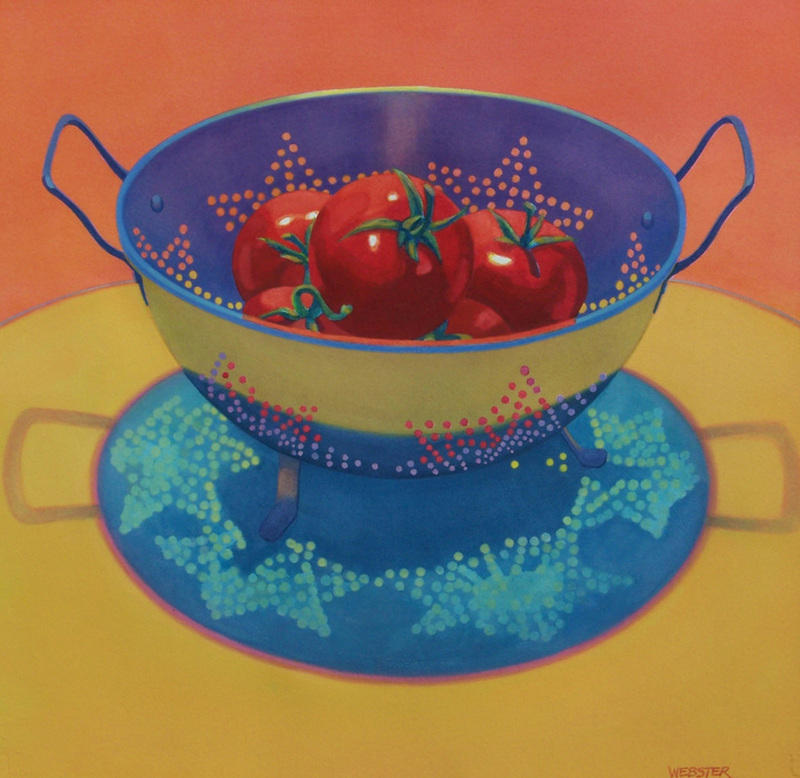 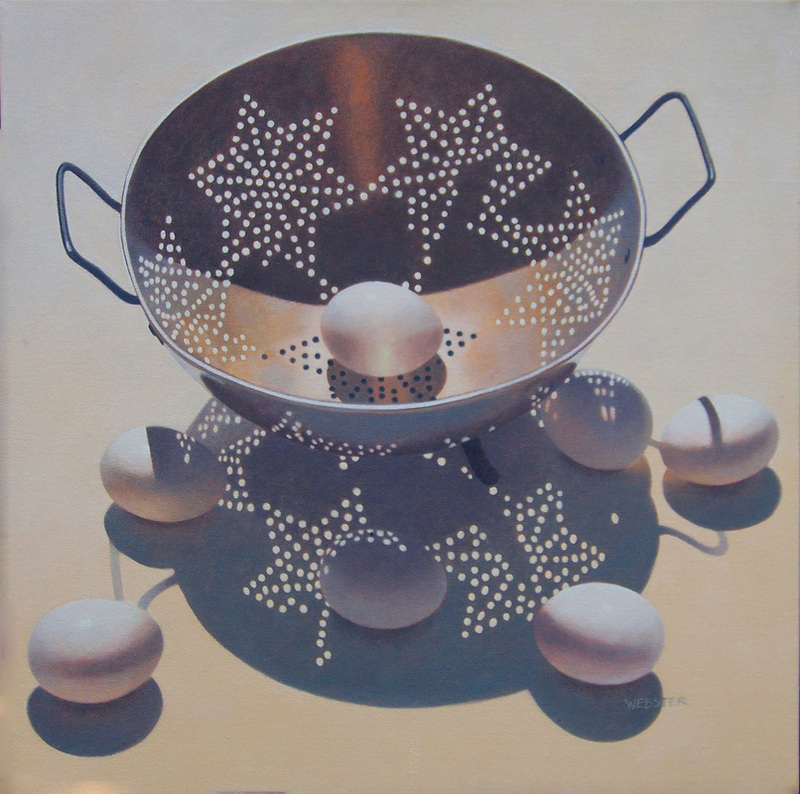 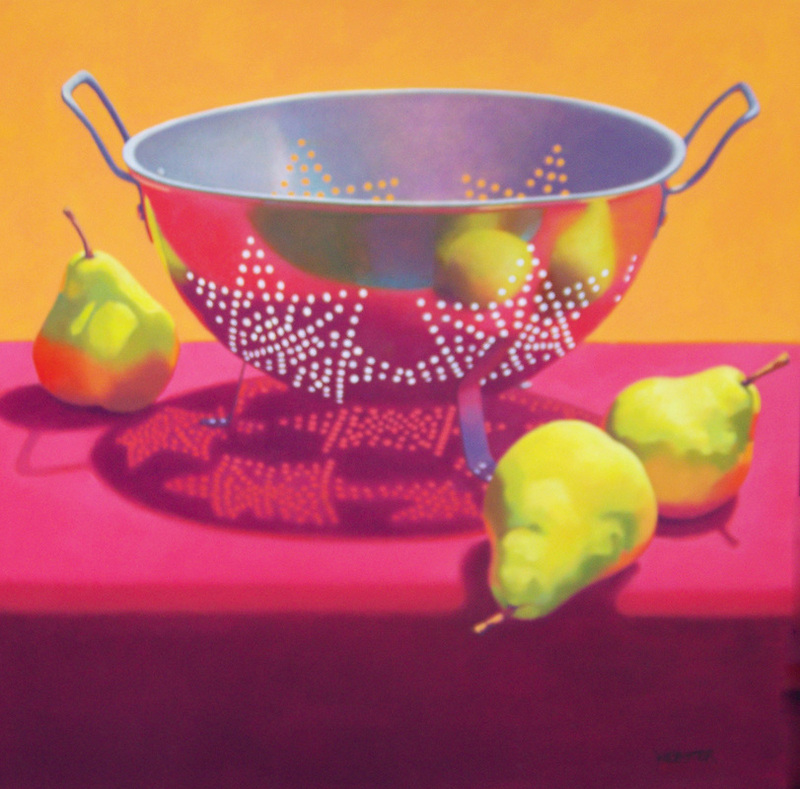 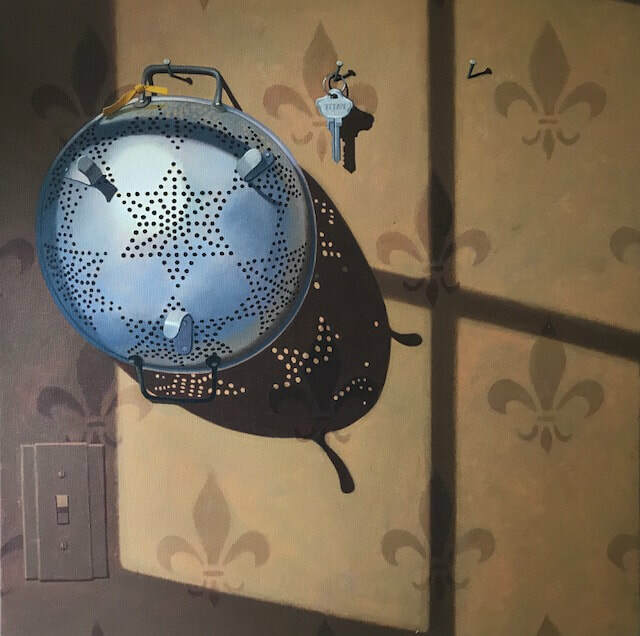 Her colander series was inspired by a tag sale purchase and the beautiful reflective qualities of its tin surface as well as the wonderful patterns created by its star shapes holes. 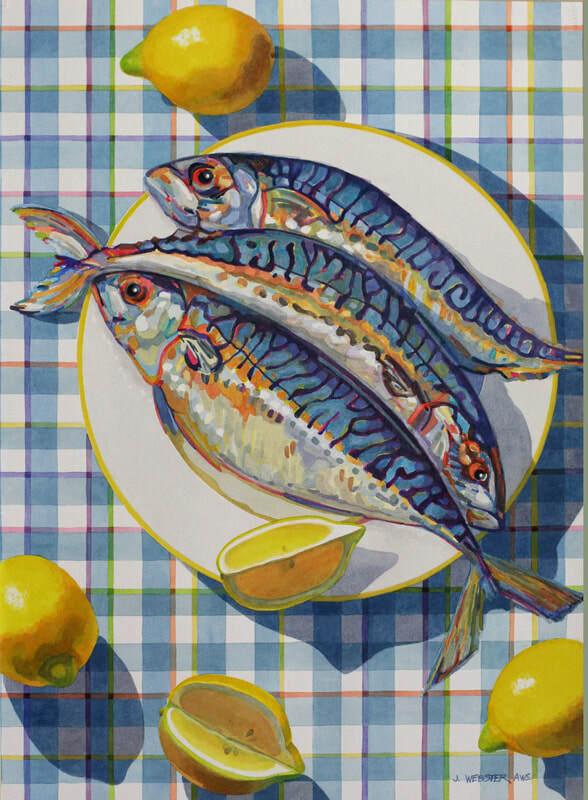 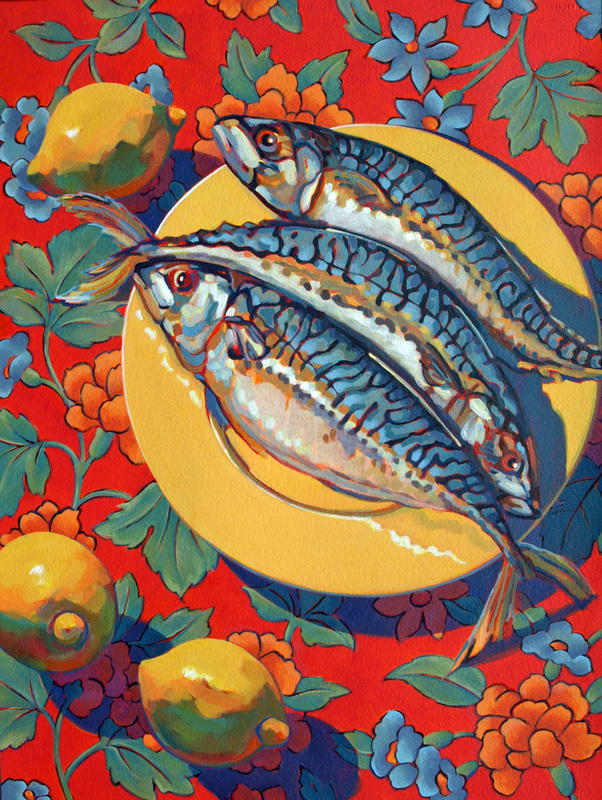 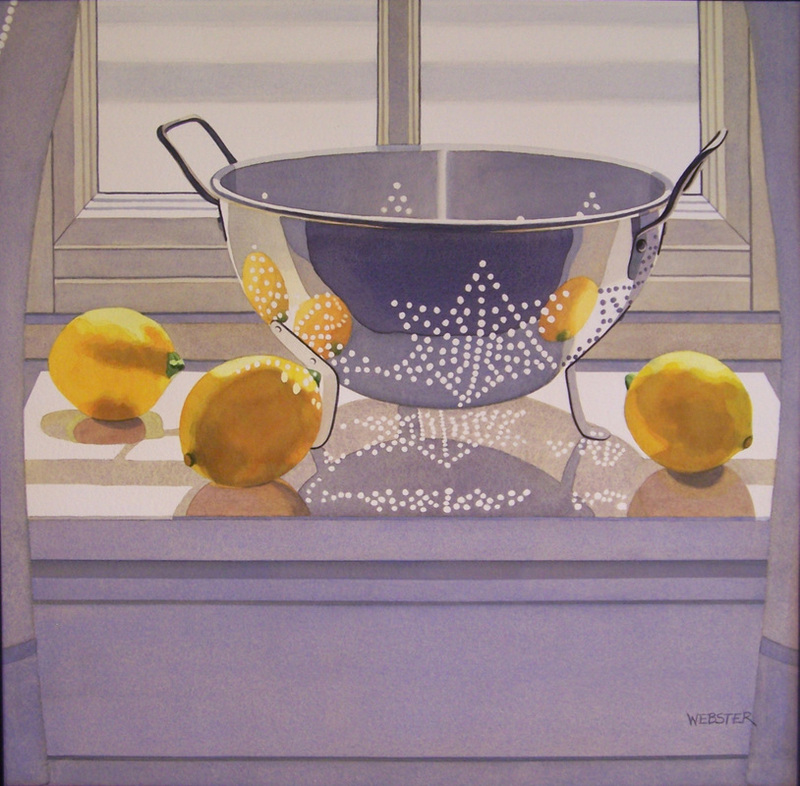 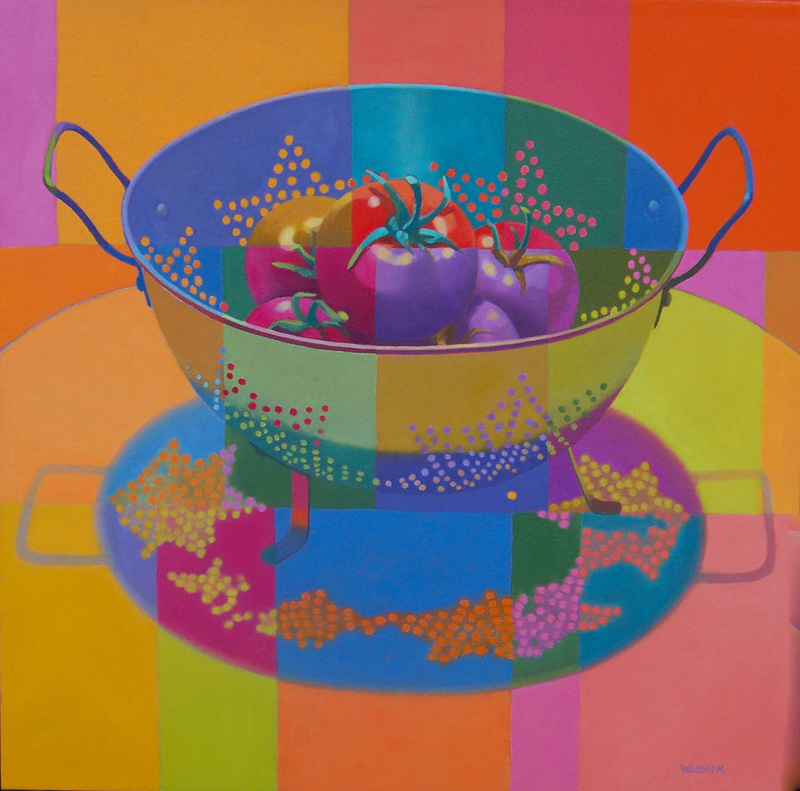 "Colander with Pears", Oil on Canvas, 24" x 24"
"Mackerel with Lemons, Watercolor on Paper, 22" x 30"